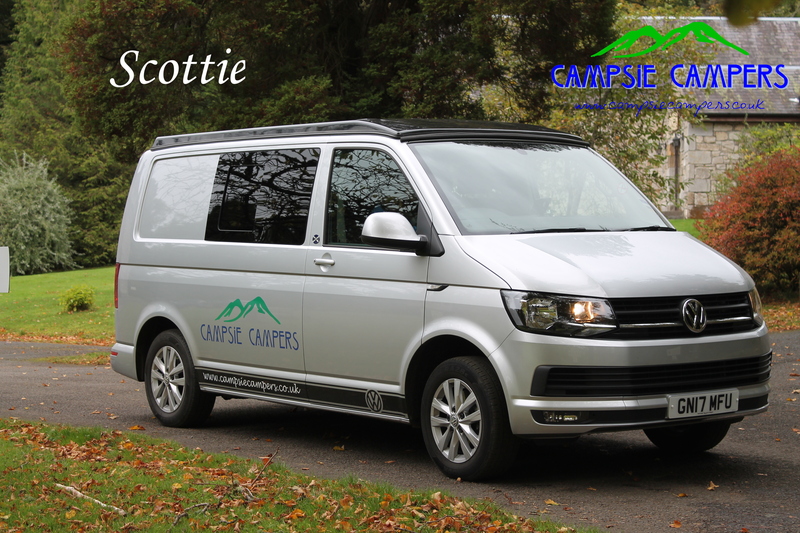 Your campervan hire in Scotland made easy with Campsie Campers. 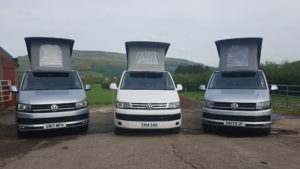 We have a choice of vehicles in our fleet from premium VW pop-tops and high-tops to luxury hand-finished Peugeot Skye-Liners. Each vehicle comes with beneficial high-spec interior features to accommodate your every need for your campervan holiday. All our vehicles are modern, incredibly economical, low-mileage, easy to drive and park, and are classed as a car for any ferry crossing. We offer 2/3/4 berth campervans and a dog friendly campervan to allow you and your whole family to travel in style and comfort. Take a road trip with Campsie Campers. These VW T6 Campervans come with every possible extra to ensure that you have the best holiday possible. They are economical and also come with specialised diesel heaters for clients that wish to enjoy travelling during the cooler months. 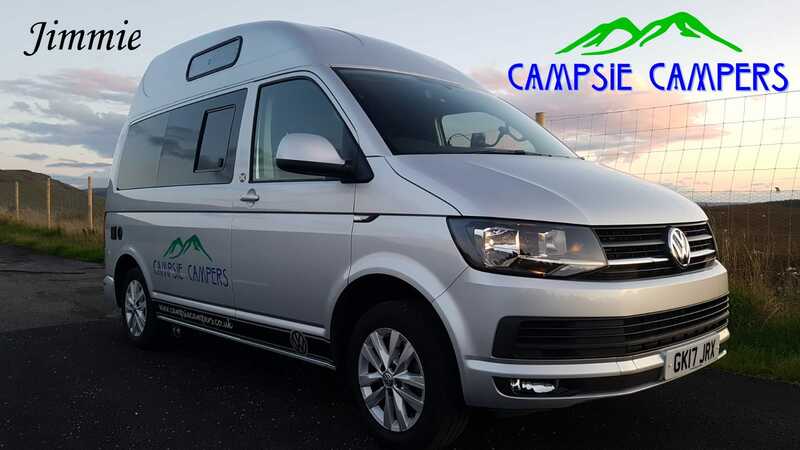 This dedicated VW T5 Pop-Top roof camper caters for all of your camping/travel needs.Suitable for up to 4 adults, this vehicle is your home away from home. The VW T5 is also incredibly economical and we have had clients achieve up to 700 mile per tank! We have dedicated this Campervan to people who wish to travel with well behaved Dogs. As there is a high demand for this vehicle it pays to book well ahead. Our late-model VW T6 High-Top, Jimmie was welcomed to our family in 2018. This vehicle is perfect for people that want a campervan with full standing room all of the time without having to raise the pop-top roof. There is a pull out double bed for children 140cms in the roof. This vehicle is suitable for couples, or families with small children. 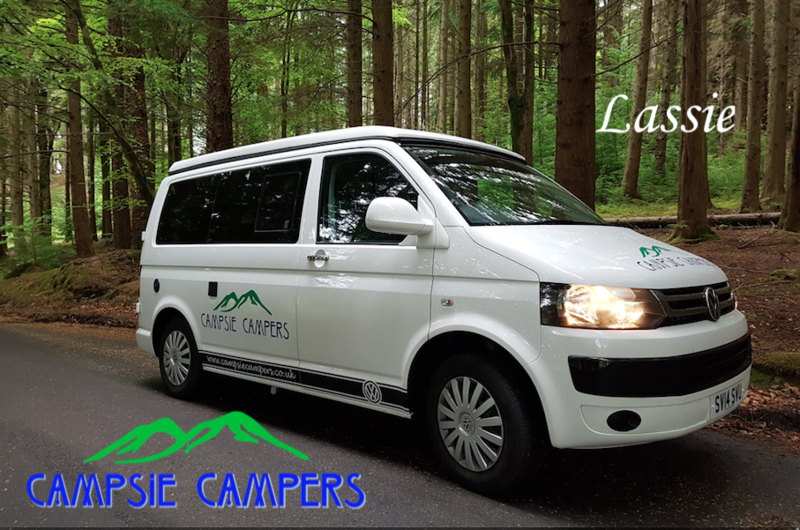 Book this popular campervan now! 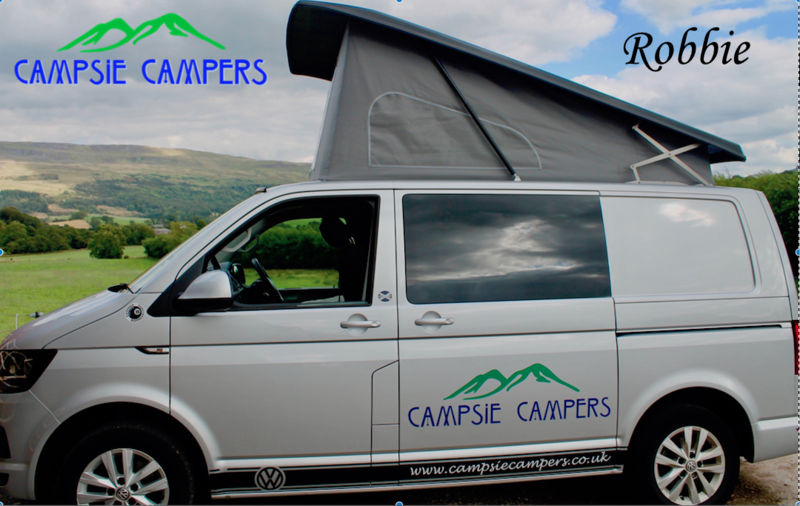 For a list of What's Included in your campervan hire, please click the link. We also offer optional Extras for your convenience such as chemical toilet, child car seats, BBQ, bicycles and bike racks.